Fever 333, the genre-defying band from Inglewood, CA, consisting of Jason Aalon Butler (ex-letlive. ), Stephen Harrison (ex-The Chariot), and Aric Improta (Night Verses), will be releasing their debut album Strength in Numb333rs on January 18th. Combining musical influences from punk, hip hop, and thrash, they have been building momentum since their inception in 2017; rapidly gaining traction, establishing themselves on major festivals and tours, and receiving a GRAMMY nomination for Best Rock Performance. The band’s intense, passionate, and explosive energy has made them a force to be reckoned with and if Strength in Numb333rs is an indication, they will not be slowing down anytime soon. There’s a fever coming.. Strength in Numb333rs seamlessly blends a wide variety of genres and influences into one cohesive record in an incredibly impressive fashion. From the moment that the introduction track grabs your attention, you are immersed into the band’s energy and message. Through a fusion of anthemic choruses, emotionally-charged screamed vocals, and rapped verses, Jason Butler utilizes his talent to accurately portray the lyrical messages that he wrote into these songs. When you integrate that with the instrumental expertise of Stephen Harrison and Aric Improta, you create a record that not only entertains listeners but elicits an emotional reaction that leaves them feeling empowered and incites them with a call to action. The Fever 333’s style transcends genre and allows them to appeal to diverse group of fans; and with Strength in Numb333rs, I will be quite surprised if the band does not explode on an international level. The Fever 333 is not simply a band, they are a movement that refers to this record as a series of broadcasts, and each live show as a demonstration. With each physical sale of Strength in Numb333rs, they donate $3.33 to the Walking in my Shoes Foundation (which benefits the Mijente Support Committee, Movement Voter Project, and United For A Fair Economy), to aid a variety of causes such as latinx and chicanx communities, the black voters fund, creating jobs with living wages, equal opportunity for people marginalized on the basis of sexuality, race, gender, nationality, social class, and more, and sustainability for the environment. 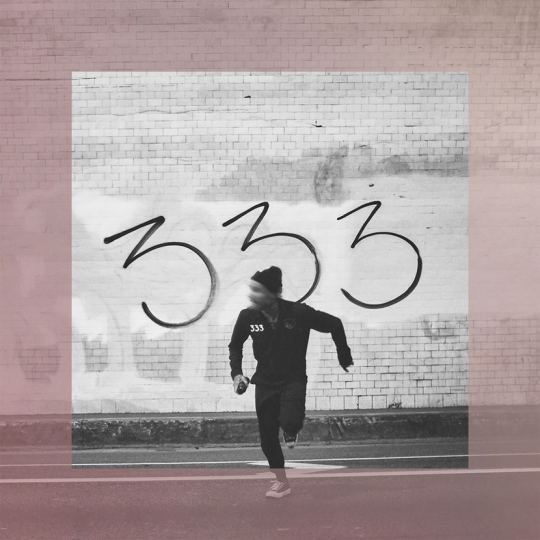 Fever 333 states on their social media that the 3’s are symbolic of their three C’s; community, charity, and change. Listeners can observe this throughout the record as well, with “Prey For Me”, “Inglewood”, and “Out of Control” each being labeled with a “/3”. These three songs in particular touch on topics such as police brutality, systemic oppression, gun violence, and gentrification; all of which affect communities and require change. In a previous interview with Riot Fest that you can read here, Jason Butler explained that Fever 333 was born during a time where he was “… in a place where I was really open about my bi-racial background and trying to understand my place not only in music, but the world; and realizing there were many other people that felt the same way I did, whether they were biracial, or trans, or queer or whether they just felt out of place”. The effort to include diversity and address controversial topics is present throughout all of Strength in Numb333rs but particularly stood out to me on tracks such as “One of Us”, “Inglewood”, and “Coup D’Etalk”. 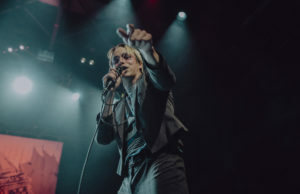 The introduction (and conclusion) to “One of Us” is electric and unifying; once fans learn the words and sing along during their live shows, it’s sure to become a central part of their set. “Inglewood” is a tragically beautiful portrayal of how the cycle of poverty, gun violence, and gentrification can impact the lives of individuals. “Coup D’Etalk” is particularly interesting to me, as (if I am interpreting this correctly), the title is a reference to the phrase “coup d’etat”. The phrase originates from the end of the French Revolution, which overthrew their system of government and resulted in the demise of Napoleon Bonaparte. Overall, I am highly impressed with the Strength In Numb333rs, and I am looking forward to seeing the impact that it will make; not only in regards to the band’s musical career, but to their social influence as well.